As a distributor of new patient transport stretchers for Techlem and the QA3 from Anetic Aid, as well as a remanufacturer of stretchers from other brands, it’s our business to know the ins and outs of what stretchers offer in terms of technical specs and features. That way, we can make sure you’re getting the best fit financially and functionally. Sometimes it can be hard to find all the relevant stretchers and compare the technical specs by having to switch from tab to tab in your internet browser, while trying to remember what you just read. 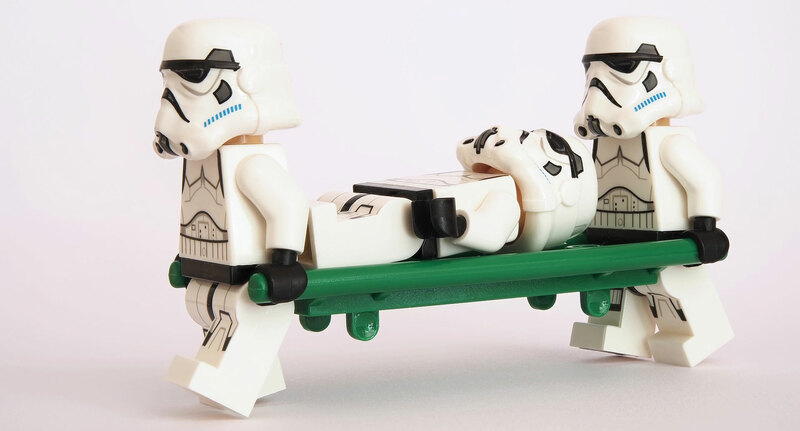 So, as a part of our corporate philosophy and commitment to be your medical equipment resource, we’ve decided to put together this article outlining the technical specs of the most popular transport stretchers in Canada. The Amico Titan Stretcher features a centric pedal on each side of the stretcher, where one raises the stretcher and the other either lowers or sets the stretcher in trendelenburg or reverse trendelenburg position. It incorporates a similar design to others in that there are two columns, similar braking positioning, and side rails. The QA3 stretcher, distributed exclusively in Canada by Meditek, features all brake access from literally anywhere on the stretcher. Adding to its uniqueness, you can put the stretcher into trendelenburg or reverse trendelenburg from a head-end lever, so that you never have to leave the patient’s head in order to activate it. Compounding the importance of this feature is that you can activate it from any height position. Anetic Aid has an emergency stretcher version, the QA3 X-Ray. While a hybrid of a transport/emergency stretcher, we will include it in this article, as it is still relevant. 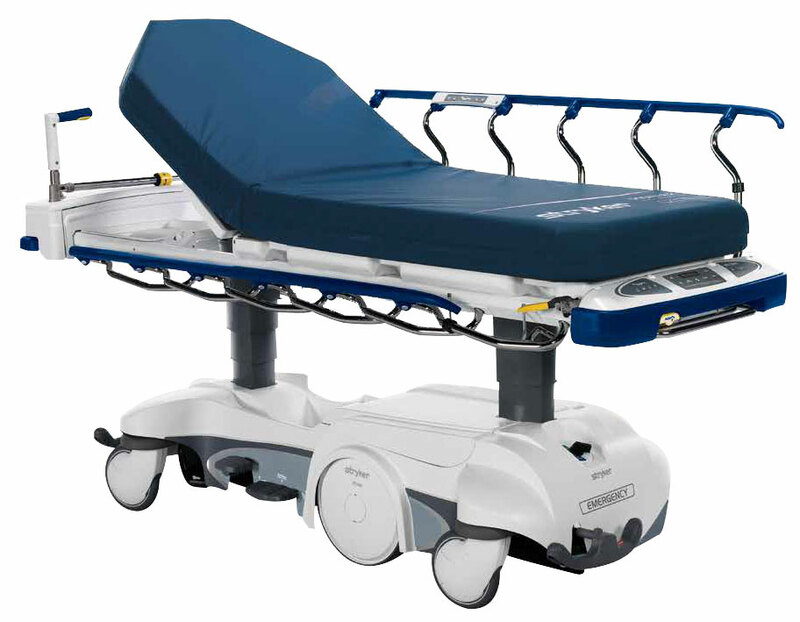 The Stryker Prime Series transport stretchers come in three variations for mobility: Zoom Motorized Drive, Big Wheel, and Fifth Wheel. Meaning as it sounds; the zoom drive (model 1125) almost eliminates the need for physical force to push the stretcher. The big wheel (model 1115) reduces start up pushing force by up to 50%, and the fifth wheel (model 1105), as it does, helps steer the stretcher straight. *Based on the 26” litter option. Download the Transport Stretcher Technical Specification Comparison at the end of this article to get the specs for the 30” litter option. 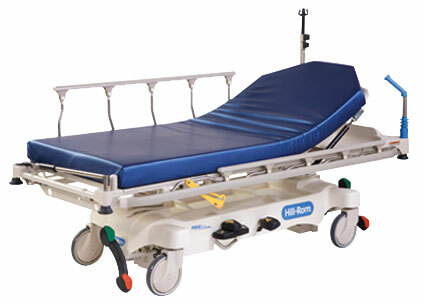 Hill-Rom®’s transport stretcher, as with the Stryker Prime stretcher, comes in two litter options – 26” or 30”. The Steering Plus™ System provides spring-loaded shocks that absorb shock of driving over bumps and thresholds. 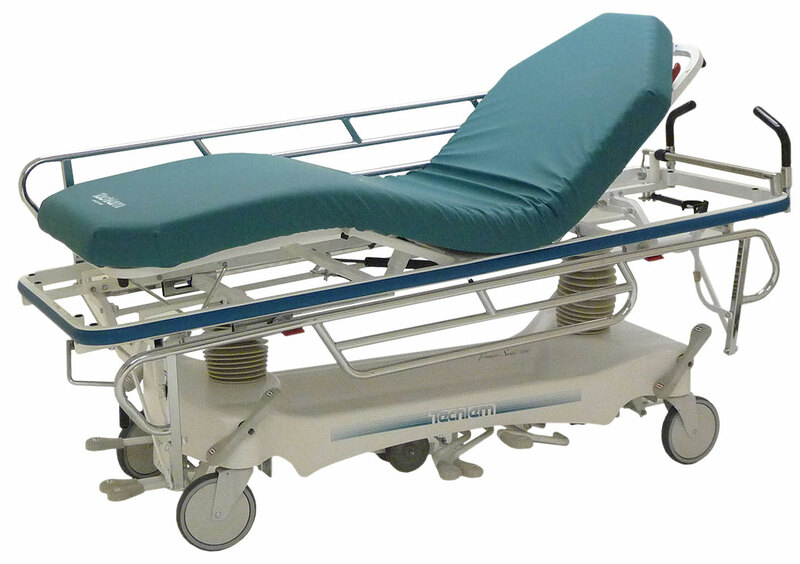 Techlem transport stretchers, distributed by Meditek in Manitoba and Saskatchewan, offer a main transport stretcher – the Premier Series 5000. The Pedigo transport stretchers have a single column, similar to the QA3. 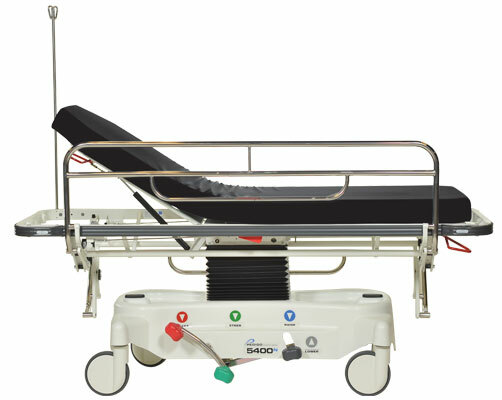 Available in several different models, Pedigo has two main transport stretchers – the 5400 Series and the 7500 series. 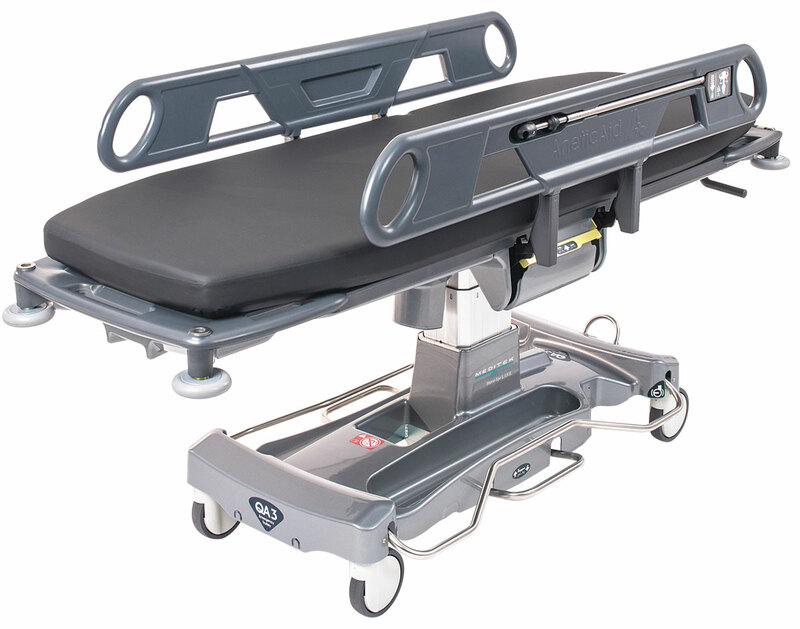 The Pedigo 5400 Series universal transport stretcher comes in a narrow or wider option. This hydraulic stretcher also has fold down side rails resulting in zero transfer gap. Even though this article focuses on true general transport stretchers, the 7500 heavier duty stretcher is really a hybrid trauma/transport stretcher, but we will include it all the same. That about sums it up for the major transport stretchers, but keep in mind that there are many other stretchers on the market. Stryker and Hill-Rom definitely have the most name recognition, due largely to the mass quantity that they have out there and the length of time in the stretcher business. However, if you have specific needs then it’s best to start with the specifications. For example, if you’re a children’s hospital, you might want to go with the lowest height stretcher that has encloses the patient on all sides. 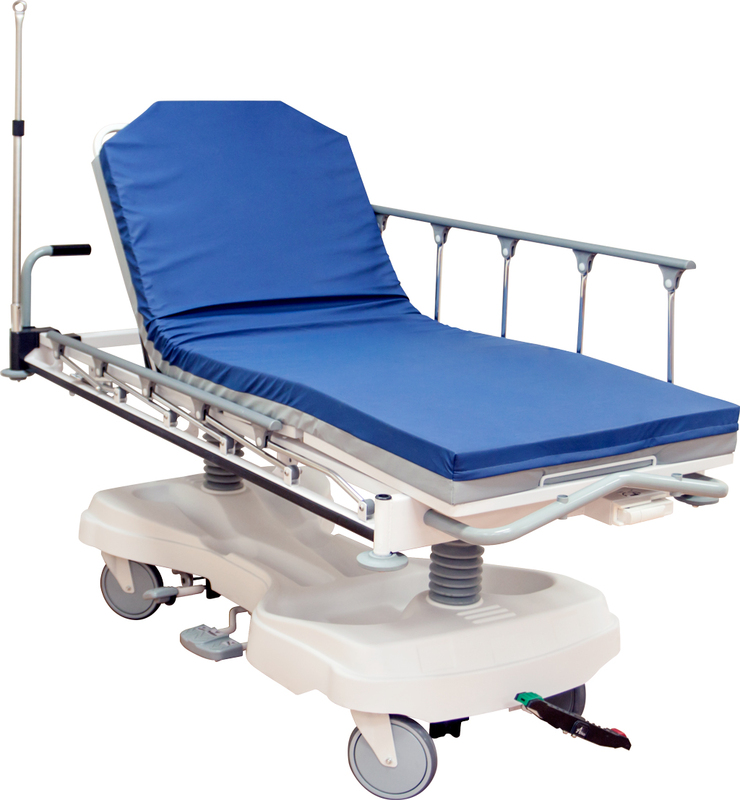 By downloading the general transport stretcher technical specification comparison of the most popular stretchers on the Canadian medical market, you can have all those specs right in front of you. Meditek is the exclusive Canadian distributor for QA3 transport stretchers. The QA3 stretcher claims more than a few industry-leading qualities, such as lowest height, highest weight capacity (for a true transport stretcher), and the only stretcher where you can activate trendelenburg (or reverse) from any height. Meditek is also the Manitoba and Saskatchewan distributor for Techlem stretchers. Meditek also offers remanufactured or refurbished stretchers for all makes and models. The ReNew remanufacturing program has been in place since 1981. Every ReNew product comes with a two year, parts and labour warranty.